Welcome aboard the Sir Robert Baden Powell. Sailing in the free play of wind and waves, diving into heavenly realms, massage for the soul under azure blue skies. 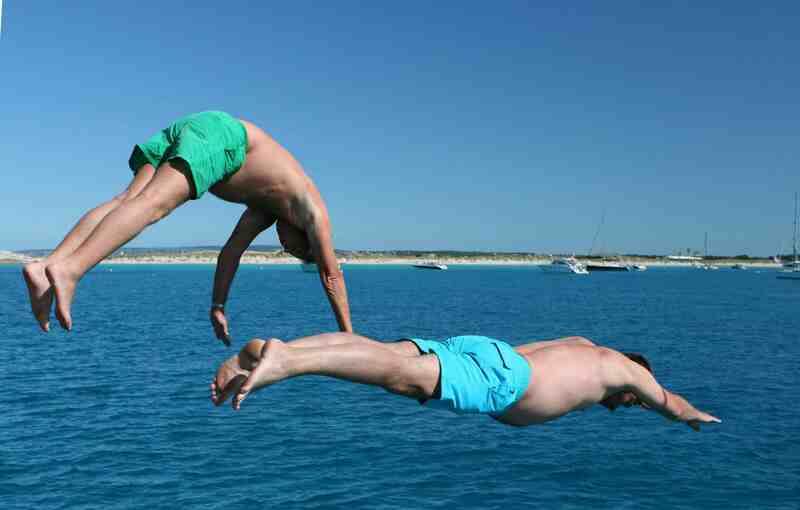 Discovering, sailing, diving and swimming. Take a stroll in a frenzy of the senses and experience moments for eternity. It is our highest target that every guest feels comfortable and takes home unique holiday experiences. The Sir Robert Baden Powell is a sailing cruise ship offering full-board cruises in the Mediterranean Sea. 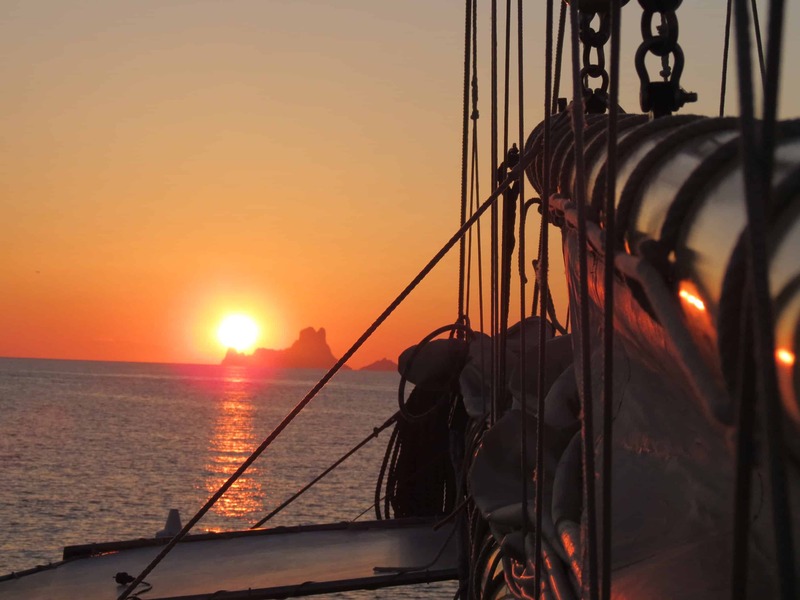 For many years, the experienced crew, under the lead of Karsten Börner and Karin Volkening, has offered sailing and diving cruises, sailing cruises in combination with hiking and cycling activities, full charter and incentive trips, family and children sails, as well as day trips from spring to late autumn. From the first meeting on, we accompany you and stand at the ready with advice and assistance. With pleasure, we arrange for prior or subsequent stays on land and also offer the appropriate information. All cruises at a glance – including information and advice on possible flights. Here you can find – always up-to-date – an overview on the travel dates for the upcoming months. By the way: since we offer special cruises every now and then, a regular visit is worth your while. The Sir Robert Baden Powell has already visited many places of the world and always enchanted its guests in the course. It is excursion ship, ocean cruiser and diving station in one. An exciting holiday under a radiant sun is guaranteed. 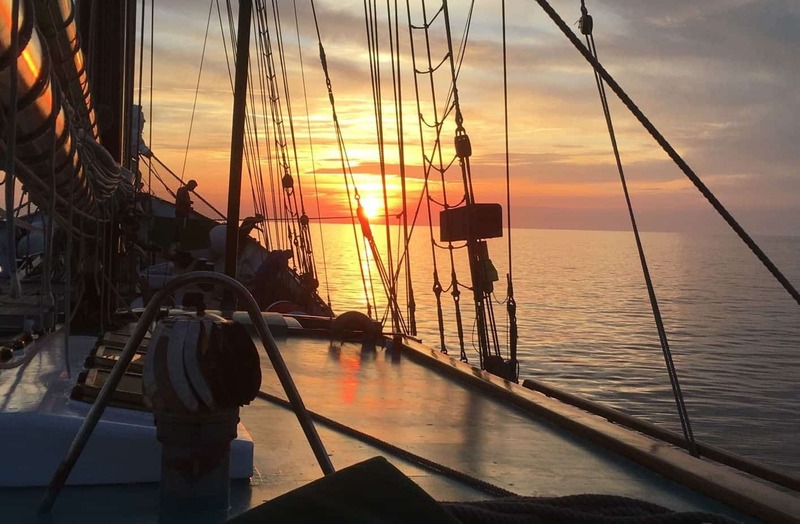 The ship quietly glides over the waves hitting the bow, whereas a soft ocean breeze blows over the deck and casts a spell over you. 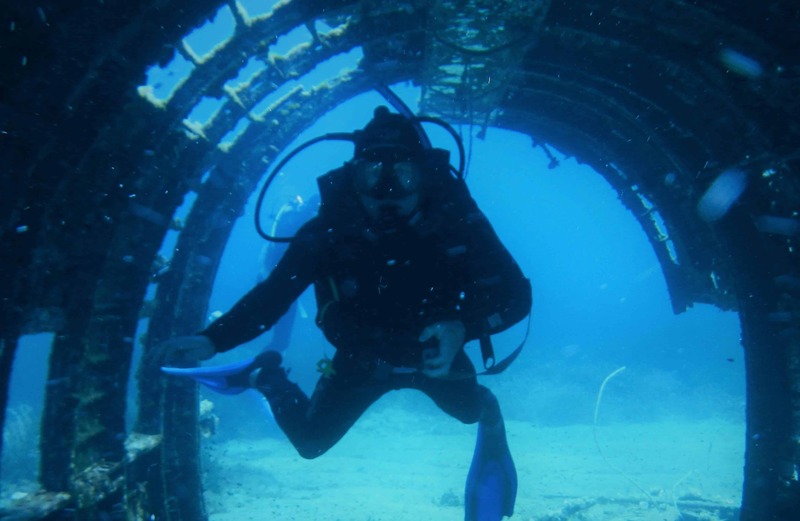 At beaches and shallow coasts, it is possible to discover the world underwater. Whether you go by bike or on food, there is also plenty to experience on land. 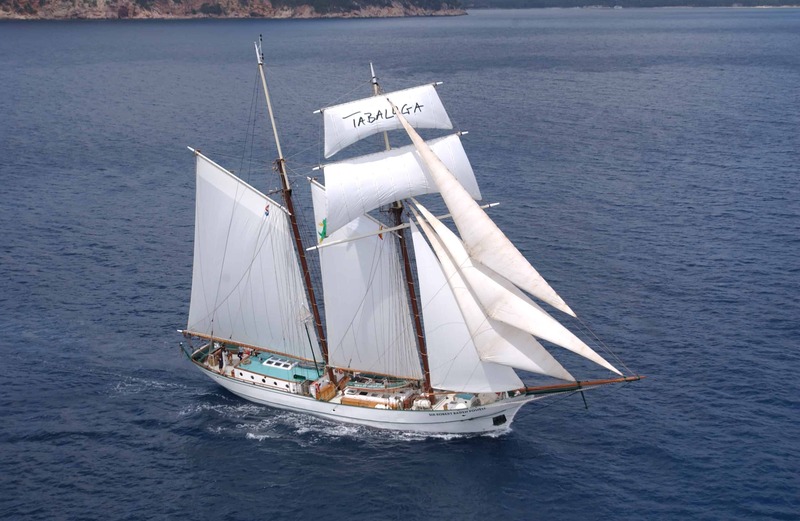 We hoist the sails for Peter Maffay and his foundation of the same name and are glad be able to make a contribution to therapeutically valuable stays as the Tabaluga ship. On board Sir Robert, children will find new opportunities for development and learning. Thus, the motif of the eponym to promote physical, social and mental abilities is incorporated in order to contribute to the development of young people. 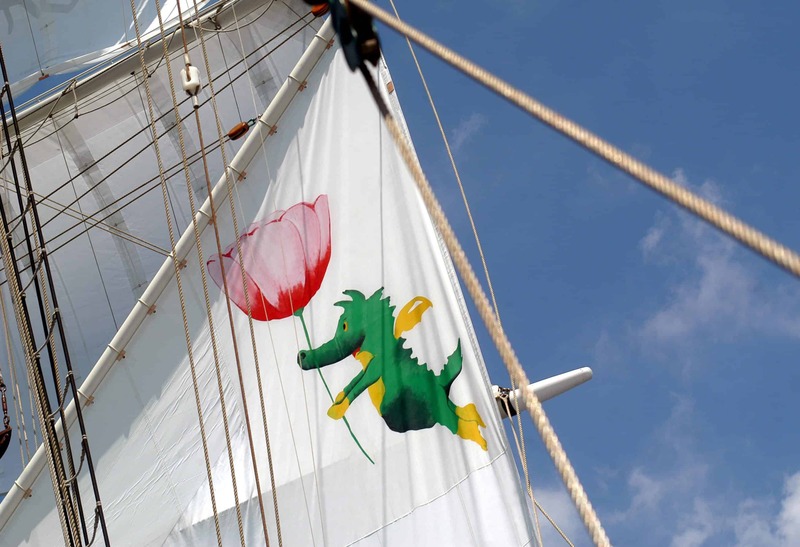 At regular intervals, Sir Robert sails under the Tabaluga flag as a cooperation partner of the Peter Maffay foundation. For a short time, traumatized and disadvantaged children and young people can experience adventures on board, experience nature and promote team spirit. Here they learn to be together on the water, to live in the shelter of the ship and above all to trust each other. Simple and completely natural. The sea, the movement in the water, at the beach and while sailing, has already made many kids `stronger` and `more radiant`. Peter Maffay founded his foundation in 2000. Since then he initiated and realized projects for children and young people on Majorca, in Romania or, for example, also in Germany. The hull of the Sir Robert Baden Powell dates from 1957/58, when the tug and icebreaker `Robert` was built in Magdeburg in the former GDR in the shipyard VEB Edgar Andre. The tug `Robert` comes from a series of ships built for export to the “socialist brother states” and for the Third World. In 1989 the ship was launched and offered for sale, after the Eastern Bloc had collapsed and with it the Polish state enterprise, for which the `Robert` had served the last years. 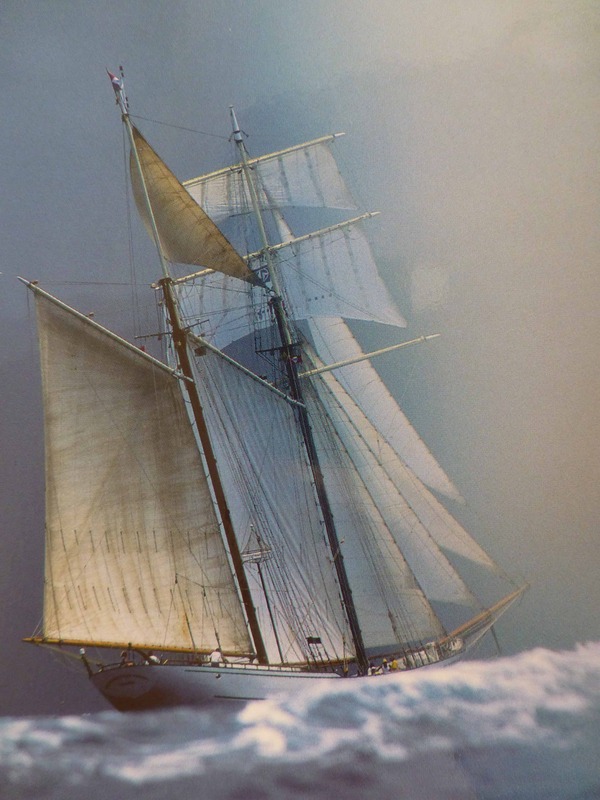 In 1991 it was bought by Karsten Börner, transferred to the Netherlands by a colleague and in 1992/93 in Lemmer it was transformed in to a topsail schooner modelled on the Baltimore Clipper and into a passenger ship. The drawings were made by the architects Kapteyn & Stromenger from Enkhuizen (Netherlands). The conversion work on the hull was carried out by the van den Berg shipyard in Lemmer, the interior by Azomat, later Aquamar B.V. in Lemmer. Electrics, rigging and many other things were completed on the own initiative of many friends and small businesses. In spring 1993 the conversion was completed, the “Robert” was “ennobled” and was now called Sir Robert Baden Powell. The Baltimore Clipper was a type of ship developed for the American War of Independence. It was very fast and agile for its time, has both “on the wind” and “room wind” characteristics and was therefore very well suited as a blockade breaker, as it could maneuver much faster and better then the sluggish British liner ships. Characteristics were the masts inclined strongly aft (up to 15 degrees mast drop), as well as the 1-2 square sails typical for a topsail schooner. Robert Baden Powell was the founder of the scout movement. He was an English general who had fought in the Boer War. His declared aim was to get the young proletariat off the streets and occupy them in England at the turn of the century. Basic principles of his work were among other things education to self-education, to social behavior, to early assumption of responsibility and a strong connection to nature / environment protection. SRBP was one of the first adventure educationist. We manage and organize sailing trips for people who want to relax naturally in a short period of time in order to return to everyday life strengthened and with new perspectives. Our ultimate goal is to pamper you with all your senses. To offer you a successful mix of relaxation, activity and adventure, so that your holiday experience moves you sustainably. 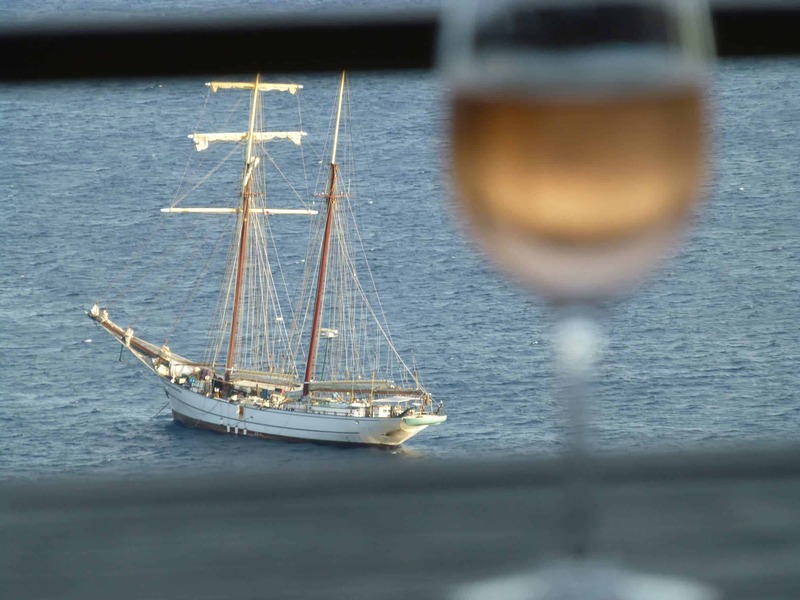 A spacious, lovingly furnished holiday room is available on board – – for conviviality, activities and moments of peace. You can expect a competent crew, an experienced captain and a likeable and empathic board manager. Take over the helm or let the sun pamper you on deck. Active sailing on board is just as possible as passive enjoyment. An experienced, competent and friendly crew, consisting of captain, helmsman, manager, diving instructor, cook and service personnel. High service and customer orientation. Smooth processes from booking request to your return home. Safe navigation of the ship. Excellent condition of the ship, class tested. Open, helpful, relaxed atmosphere on board. A contact person is available around the clock. Culinary delicacies on a high level: national & international. Varied on-board program. Sir Robert Baden Powell looks back on an eventful history. Just one week after leaving the shipyard in Lemmer/Fryslaan, it reached the Portuguese port of Porto for its first charter after a stormy crossing (SW 11Bft). Afterwards it spent a summer season in the Spanish Mediterranean. From October 1993 – 1996 it was in the Red Sea for diving cruises. The focus was the southern Red Sea, which at that time was still underdeveloped for tourism, with the main area being the south of Egypt. Diving cruises to the most beautiful reefs of the Red Sea were carried out, also in Sudan and Israel. To name a few: Elphinstone Reef, Daedalus Reef, Brother Island, Rocky Island, Zabargad, Foolbay, Zanganeb, Schab Rumi, Umbria and many more. From 1997 Sir Robert spent all summers in the Mediterranean, first in Spain, then in Sardinia, Corsica, the Gulf of Naples, Cote d’Azur, Sicily, Malta, Gozo and many other beautiful places. In the winter months of 1997 – 2002, sailing & diving cruises were carried out in the Caribbean, e.g. on the Leeward Islands, the Winward Islands, the Grenadines and the Virgin Islands. When the effects of September 11, 2001 on tourism became noticeable, the Cape Verde Islands were the new winter cruising area. After three years Cape Verde Islands in winter including some stays in Senegal and beautiful tours on the Canary Islands, the summer season in the Mediterranean became longer and longer and is now extendable into November thanks to the temperatures. The pleasant side effect is to be able to keep the now `fine elderly lady` in good spirits during the winter rest periods i.e. to entertain, improve and adapt to the state of the art and the demand for comfort.